We were delighted to receive this publication from a friend and colleague, Prof Juan Bornman from Pretoria in South Africa. It reports on a study carried out with 27 typically developing children who have a younger sibling with a severe speech and language disability. 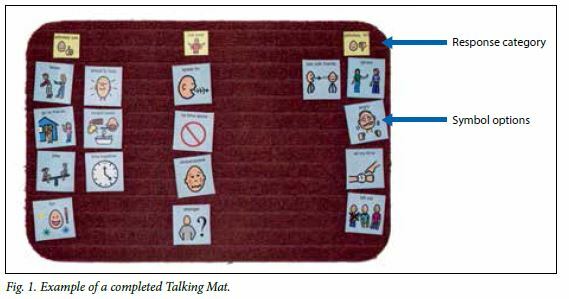 Juan and her colleagues used Talking Mats to carried out an adapted structured interview to find out the views of these children on four everyday life situations identified by the WHO-ICF-CY (World Health Organisation’s International Classification of Functioning, Disability and Health, Children and Youth Version). The findings showed that the children were ‘most positive towards participation in play activities with their sibling with a disability. 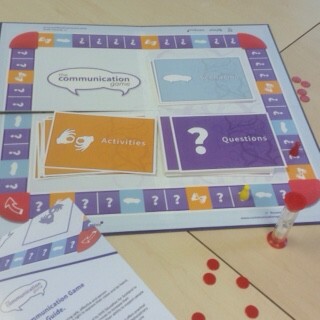 They were also positive towards participation in household tasks. They were less positive towards communication participation and least positive about participation in interpersonal relationships’. The following example is taken from Juan’s publication. The overall findings suggest that the attitudes of the young children in the study towards participation with their younger siblings with severe speech and language disabilities were generally positive. 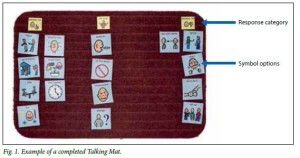 This entry was posted in Blog, Children and young people, Communication difficulties, ICF, Participation and tagged AAC, Children, Communication difficulties, Participation, Talking Mats, Young people on September 9, 2016 by Joan Murphy.